About 50 million people live in South Africa today, many of whom live in the urban areas. The population increase in recent years is due mainly to immigration. About 80% are Black African, about 10% are White African and about 9% are colored or mixed race. A small percentage is of Indian and Asian descent. The Black African group is made up of several tribes, including Zulu, Venda, Xhosa, and Bapedi. The White African group consists of Dutch, German, Portuguese, English, Flemish, Italian, Irish, French, Welsh, and Greek. There are also immigrants from such countries as the Soviet Union, Israel, and Great Britain. 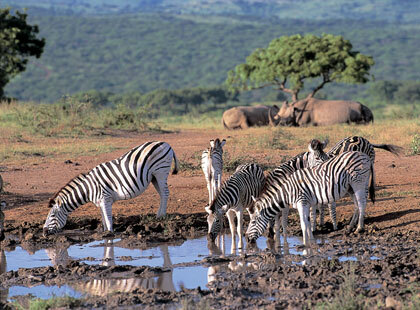 South Africa was dubbed "the Rainbow Nation" due to the diversity of its peoples and cultures. It is located at the southernmost point of Africa and is an excellent starting point for trips to Namibia, Victoria Falls, and the Okanvango Delta. It is flanked by Botswana, Zimbabwe, Swaziland, and Mozambique, and completely surrounds an independent nation, Lesotho. 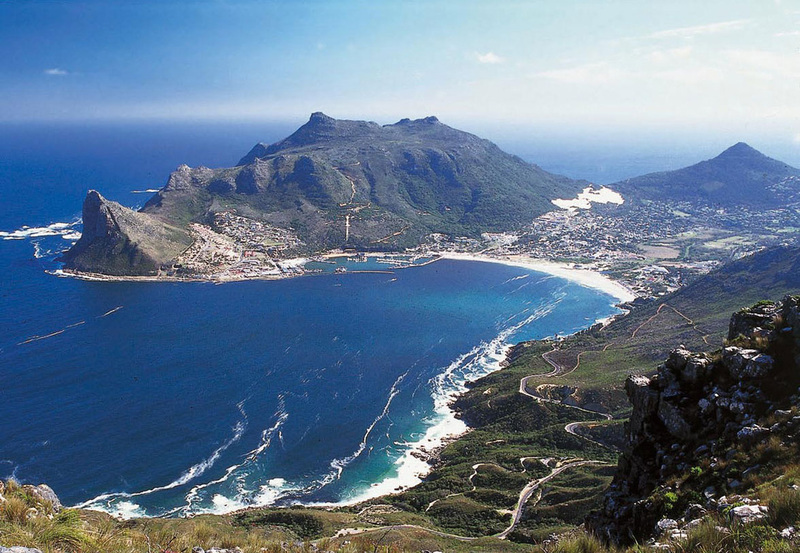 South Africa is one of the most unforgettable destinations on the African continent, presenting one pleasant surprise after another, whether in the bustling city centers or in the quiet, wild rural areas. It is truly an adventure capital, with lots of activities and events to satisfy every taste and preference, from the beaches and beautiful landscapes to the varied wildlife. South Africa is the place to see if you've ever wondered what the edge of paradise looks like. 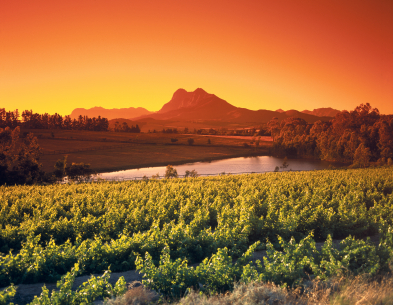 South Africa is a land of stunning beauty and diversity, with a temperate climate contributed by proximity to the Indian and Atlantic Oceans. Due to its varied landscapes, climate variations do occur, ranging from hot and dry conditions in the desert regions and subtropical conditions in the eastern region. 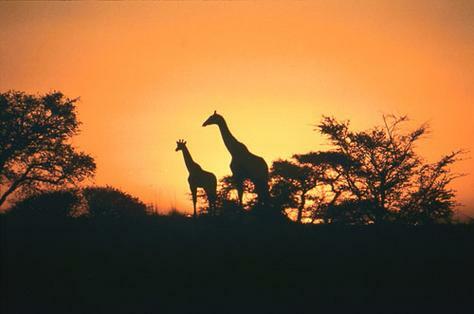 The Highveld, the region of high plateaus, is mountainous, and temperatures can reach over 100 degrees Fahrenheit. The Roggeveld Mountains, which are found in the west, can register low temperatures of about 5 degrees Fahrenheit. South Africa also owns Prince Edward and Marion Islands. The original inhabitants of South Africa were the Khoisan hunter-gatherers who were later displaced by the Bantu-speaking tribes. In 1487, Portuguese explorers came, landing on the southern tip of Africa. This southern tip, the Cape of Storms, was later changed to Cabo da Boa Esperanca (Cape of Good Hope). 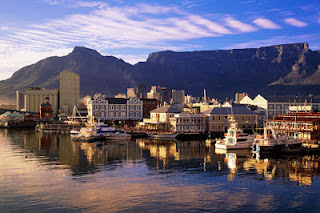 The Dutch arrived in 1652 and began to transport slaves to work in Cape Town. Great Britain later took over in 1795. South Africa's rich resources, particularly its gold and diamonds, were discovered in the mid-1880s, pushing economic growth for the country. The promise of wealth from such discoveries resulted in a struggle for control between the indigenous peoples and the Europeans. South Africa's history is defined by political and economic turmoil. The most famous of these were the Boer Wars and Apartheid, a legal, institutionalized form of social segregation. It has since overcome these obstacles to progress, when its discriminative laws were demolished beginning in 1990, and today South Africa is a progressive nation, proud of its cultural and racial diversity. South Africa is made for partying and it moves to a beat all its own. You need only to leave your hotel room to find a fun party with the locals at a shebeen. Music is free, easy, and exciting, with clubs and bars playing rock, jazz, blues, and traditional music all night. For dinner and cocktails, there's always the Waterfront in Cape Town. For budding musicians, you can try a drum session with local musicians at Drum Cafe. For a good laugh, there are numerous comedy clubs including the Comedy Warehouse that offer world-class performances from the nation's top comedians. To wind down, have a cocktail and a quiet conversation at Camps Bay. Nearly 80% of South Africans are Christians, affiliated with Zion Christianity, Pentecostal, Methodist, Anglican, Dutch Reformed, and Roman Catholic. Of these groups, the African Indigenous Churches have the largest membership. A small percentage of the population are Muslims, Hindus and Jewish, and there are also religions that combine Christian and indigenous faiths. South Africa has not one, but 11 official languages. The most widely used include Zulu, Xhosa, and Afrikaans. The other languages include Pedi, Sotho, Swazi, Tswana, Tsonga, Ndebele, and Venda. English is often used in science and commerce but is spoken by less than 10% of the population. South African cuisine is considered a 'melting pot' because it integrates different elements from its many cultures. As a result, there are dishes based mainly on indigenous crops such as maize, squash, and sweet potatoes. A popular dish called pap is porridge made from ground maize, served with vegetables and chilis. Umngqusho, made with dried kernels of maize, sugar beans, onions, potatoes, lemons, chilis, and butter is worth a try. For the more adventurous, there's the mashonzha, made from cooked Mopani caterpillar: a spicy dish, made flavorful with peanuts. European influence can also be seen in many meat-based dishes, such as the potjiekos, a type of stew, and boerewors, the South African sausage. South African barbecues, called the braai, are also popular among the locals. This is outdoor cooking at best, involving fish, chicken, meat, onions, and potatoes. Kebabs, called sosaties, are also served, along with biltong or jerky.